Intel is going to launch their Broadwell-E lineup at Computex 2016 and the SKUs in question were just revealed by Benchlife.info. Enthusiasts will be pleased to learn that the flagship model will feature up to 10 cores/20 threads. This is the first deca-core on the commercial market and a step up in the offerings from Intel. The processors will utilize the same x99 motherboard although add-in-board partners of Intel will be updating the feature set of their existing lineup. The X99 “Wellsburg” platform will be supported with this lineup and features up to 40 PCI-e lanes. It is also worth noting, that previously, the official word from Intel had state that the platform will only have up to 8 Cores (something which has now been changed to a full 10 cores). The BW-E platfrom also has a configurable integrated memory controller which can adjust the base clock to 2133 Mhz or 2400 Mhz (as opposed to dynamically overclocking it – which is what usually happens). This is the perfect platform to own for enthusiasts with deep pockets and well adjusted to run Quad SLI or Quad Crossfire. The 14nm advantage doesnt hurt either – although most of the feature offered by Skylake will be missing in this iteration of Intel’s tick/tock. The flagship part of the Broadwell-E lineup is ofcourse the Core i7 6950X and it will be replacing the older Core i7 5960X. The processor rocks 10 Broadwell based cores with 20 threads on the 14nm node. It will feature a TDP of 140W and require the LGA 2011v3 socket from Intel. It will have a massive cache size of 25 Megabytes, roughly 2.5 MBs per core. The base clock will be 3.0 Ghz and can turbo up to a solid 3.5 Ghz. It features a 4 Channel Integrated memory Controller and will support DDR4 Memory up to 2400 Mhz (configurable to 2133Mhz). The expected MSRP would be around the $999 mark. The Intel Core i7 6900K will be replacing the Core i7 5930K – and features 8 cores with 16 threads. The TDP remains at 140W with the socket being LGA 2011 v3. The base clock of the processor is 3.2 Ghz with the turbo clock being 3.7 Ghz. The processor has a cache size of 20 MBs for roughly 2.5 MBs per core. DDR4 memory up to 2400 Mhz will be supported and the IMC can be configured down to 2133 Mhz. Expected MSRP is around the $650 mark. The Intel Core i7-6850K will be replacing the Core i7 5820K and features 6 Cores/12 Threads. 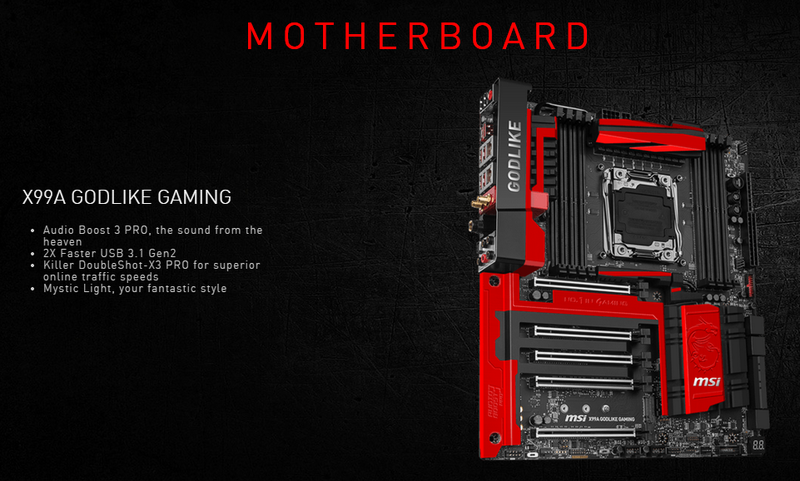 It has a TDP of 140W and requires the socket LGA 2011v3. The base clock is 3.6 Ghz and can turbo up to 3.8 Ghz. With a cache size of 15MB you are looking at (once again) 2.5MB per core. The IMC can be configured between 2133 Mhz and 2400 Mhz. The expected MSRP should be below the $550 mark. Finally, we have the Core i7-6800K, which can arguably be considered the new addition to the family. This processor aims to put a hexacore in the hands of the average PC user. The MSRP of this processor will probably be less than the $450 mark, making it just affordable for the average user in this market spectrum (keep in mind that this IS the high end segment). It has a cache size of 15MB with 2.5MBs per core but has a lower base clock of 3.4 Ghz (turbo up to 3.6 Ghz).